The Dr. Arely Betancourt was graduated from College of Dentistry in 2004. But her career didn’t start there. She has more than 20 years of experience since she graduated from Havana University in 1987. Her professional success is mainly obtained due to daily studies related to the most advanced dental techniques. She has also been attending to different courses in different and prestigious centers of studies. But what really makes her service unique is her incredible manners to deal with every patient. 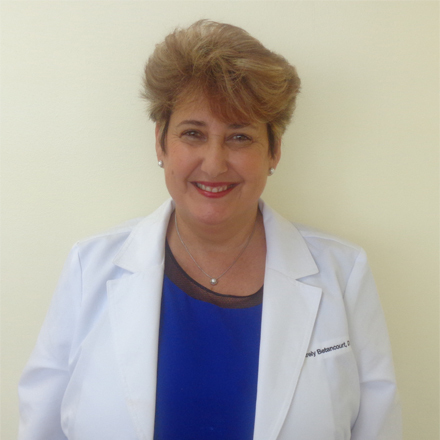 Dr. Betancourt has been leading her team for many years. Every clinical diagnosis, treatment and prophylactics is provided by her professionals and no detail is missed. As an incredible professional but an outstanding person she can bring your best smile back to your face literally.